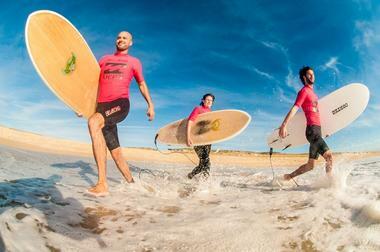 Surfing in a young atmosphere guaranteed! For surfing with the UCPA in Carcans, go to the home of the Snow, positioned at the foot of the dune from Carcans Plage close to the spot. Carcans-Plage The waves are incredible playground for surfers. 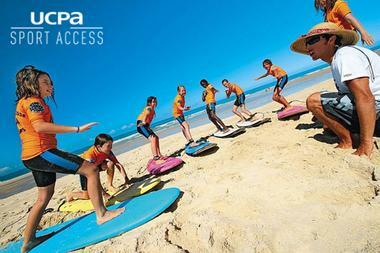 From 8 years old, in group classes, at the meeting or week, the UCPA Bombannes will allow you to perfect your surfing or bodyboarding. For young and old, learn at your own pace while having fun, thanks to the advice and the good mood of your monitor. Changing rooms, showers, equipment racks, equipment and bicycle storage are available rinsing. All equipment necessary for the activity is provided (board, leash and wetsuit). And remember to leave a cap in case of high heat, while traveling on the beach. Here you are also able to accommodate people with disabilities. The instructors are educated there, and premises and equipment are suitable. 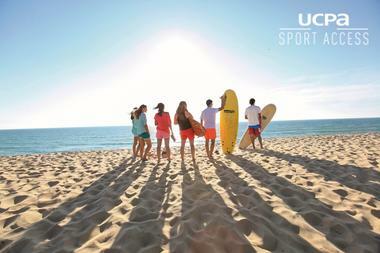 There is no review about Ecole De Surf Et Body Board Ucpa, be the first to leave one !